The tarot; first known as trionfi and later as tarocchi, tarock, and others is a pack of playing cards, used from the mid-15th century in various parts of Europe to play games such as Italian tarocchini and French tarot. In the late 18th century, it began to be used for divination in the form of tarotology/cartomancy. Like common playing cards, the tarot has four suits (which vary by region: French suits in Northern Europe, Latin suits in Southern Europe, and German suits in Central Europe). Each suit has 14 cards, ten cards numbering from one (or Ace) to ten and four face cards (King, Queen, Knight, and Jack/Knave). In addition, the tarot has a separate 21-card trump suit and a single card known as the Fool. The tradition of tarot and tarot card readings has been in existence for thousands of years and has been linked with many types of religions. Once upon at time known as a form of “Fortune Telling”, the tarot deck would of consisted of the 22 Major Arcana cards (the word Arcana means secrets or mysteries) and the earliest evidence can be traced back to 1450. It is believed the cards were created for nobles and only became widely available on the creation of the printing press. In current times, the tarot deck always consists of 56 minor Arcana and 22 Major Arcana cards. During a phone or online tarot reading, the reader will shuffle the cards and ask you when to pick your cards, the reader then lays out the cards in a pattern called a spread. There are many types of spreads ranging from those that incorporate a single card to spreads that include all 78 cards of the deck. Some spreads focus more on a specific type of information. For example, one spread might focus more on emotional matters, while another might bring in more information about the influences of others. One of the most common spreads is the Celtic Cross. Three-card Tarot spreads are great if you need a quick answer to an uncomplicated question and this can reveal information such as a general overview of past, present and future. Alternatively it can guide you on the nature of your problem from the cause to the solution. Spreads can also consist of just one or two cards. It is surprising how much information one card holds in relation to particular question, and then the possibilities created by adding a second card are endless. The Tarot can provide suggested actions and likely outcomes; however the final outcome will depend on the subsequent choices and decisions you make with each step of your journey through life. 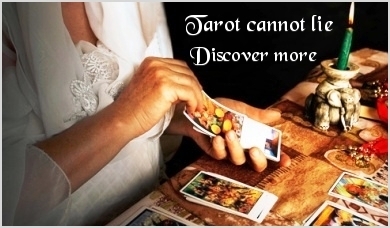 The insight gained by a Tarot Reading can prepare you by being better equipped to take action in line with your future growth and development. Tarot can offer excellent insights into future events, but if your question is "When will I get my ideal job? ", it will not provide times and dates but it will show you what needs to happen to achieve that goal. It is then up to you to choose to take the steps needed. Remember that Tarot has benefits and limitations. Like many other forms of self development, it cannot solve ALL problems, otherwise what a magical world we would live in! It is not designed to make decisions for you or tell you what to do. Genuine readers will NOT diagnosis health issues, recommend treatment, or answers about serious money or psychological problems nor will they predict births or deaths. So please don’t waste your reading session on such questions as the code of conduct prohibits readers from answering. WHAT KIND OF THINGS CAN I DISCOVER FROM A TAROT READING? 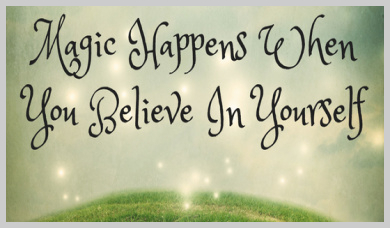 A Tarot Reading is like a snapshot of your current life and past events that have impacted your present situation. The reader and the cards tune into your energy and will provide an image of unseen or unrecognised behaviour patterns, obstacles and strengths. People who have influenced your life in some way, for bad or good, will often be represented by a card depicting their character. A reading can help you take an honest look at your situation and provides key information on what you can do to create the life you really wish for. 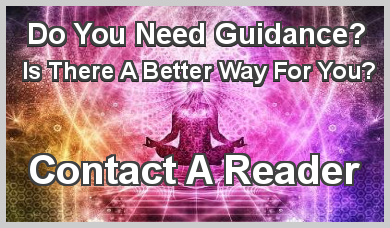 The reader can help provide you with a clearer understanding of your present situation and assists with empowerment to make the changes you want. It is important to focus on yourself during a reading, so take time out and enjoy the experience. HOW DO I CHOOSE A TAROT READER? 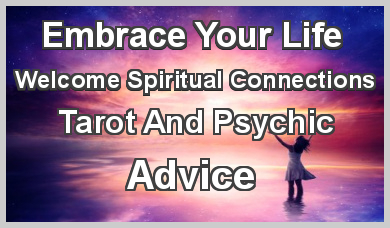 In this section we have many readers listed who use Tarot cards within their readings, to find the one that is best suited to you click on their profile page and you can read their full biography including such items as how long they have been reading, how they work, if they have certificates or have worked with any notable psychics. HOW LONG WILL MY TAROT READING BE? WHAT KIND OF QUESTIONS CAN I ASK IN A TAROT READING? The tarot works best when you are specific in the question that you want to get an answer too. If you really are looking for just an overview on how your life is going then a general readings is for you. However, if it is a specific subject or even a specific question what you want answering it then make sure you ask it before your cards are shuffled and dealt. Make you the focal point of the reading so concentrate on asking a question about yourself. How is my current relationship going to develop? What do you see happening in my job? Is the house move I want going to happen anytime soon? What do you see happening during this year? Do you see anyone new entering my life? One of the most common subjects brought up when consulting the tarot cards is matters of the heart. A love reading is a powerful route to find the answers you seek. Tarot has the wisdom to guide you on the right path to take. One of the most important things to remember is not to ask yes or no questions. Examples include "Will I find my true love? ", "Will my current relationship work? ", "Will he ask me to marry me soon?" or "Is he cheating on me?". To achieve more insight with a love tarot reading, it is best to ask open questions such as "What can I do to manifest love into my life?" or maybe "What would be the best way to reconnect with a past love?" or "How I can ensure this is the right relationship for me?" Open questions on your relationship issues can provide better direction on changing an outcome based on the choices you make. Try a love reading now and see how it can guide you regarding past, present and future relationships.